The big picture: The group's request follows recent developments in Iran's ballistic missile program, including the inauguration of two upgraded missile platforms and a failed satellite-launch vehicle test. This effort broadens the focus on the Iranian missile threat to encompass future intentions — especially around nuclear-capable systems — and provides a new vector for joint U.S. and European pressure. Background: The secretary-general publishes reports on a biannual basis about Iran’s adherence to UN Security Council Resolution 2231, which codified the Iran nuclear deal and contains an updated arms ban and ballistic missile testing prohibition. The next iteration of the report is scheduled for release in June. The Dezful is a solid-fuel ballistic missile that can reportedly travel up to 621 miles. 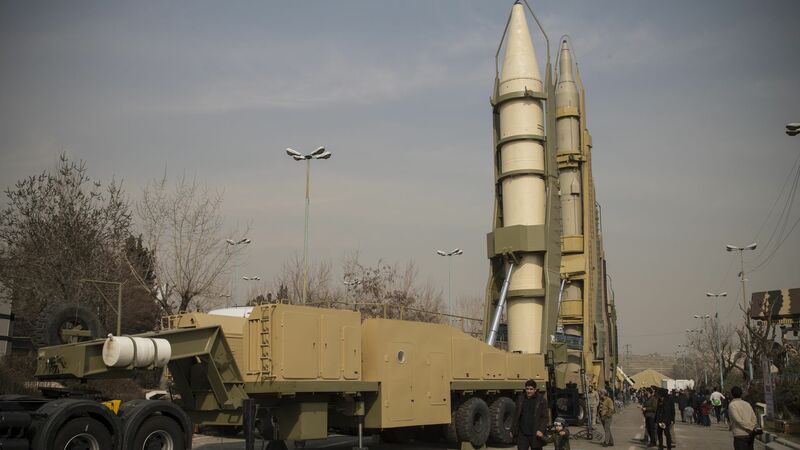 It is an upgraded variant of the Fateh-110 family of missiles, which Iran has used in military operations against groups in Syria (twice) and Iraq (once). The Khorramshahr-2 is a liquid-fuel ballistic missile based on a North Korean design that has failed multiple flight tests. The newer Khorramshahr — with a reported range of 1,243 miles — features a biconic warhead with finlets, implying that it can maneuver before reaching its target. The bottom line: It remains to be seen if Washington can use the increasingly tough rhetorical position by the E3 to press its transatlantic partners for more action. Sanctions are still the currency of confidence between the U.S. and Europe to counter the Iranian missile threat, but the last batch of missile penalties from the EU came in December 2012. Behnam Ben Taleblu is a senior fellow at the Foundation for Defense of Democracies. The U.S. government on Sunday temporarily halted its military support for counterterrorism activities and diplomatic missions in Libya as rival militias try to stop fighters loyal to Libyan strongman Gen. Khalifa Hafter from advancing toward the capital of Tripoli, the New York Times reports. Details: This comes days after the Libyan National Army, led by Hafter, launched a surprise offensive against the capital to seize control — a move that could ultimately plunge the country back into civil war. Early on Sunday, both sides launched airstrikes, “but the exact targets and extent of the damage could not be immediately determined,” per the Times. Meanwhile, the United Nations reportedly said its forces remain active in Libya.